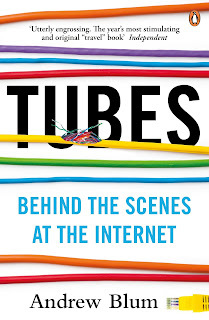 When first published, Andrew Blum’s book Tubes: Behind the Scenes at the Internet was much reviewed and dissected in techie corners of traditional media as well as the internet. I finally got around to reading it while on holiday. Various internet failures – at a country-wide level as well as down the side of his own living room couch – led the writer and technology correspondent to track down how the internet worked. 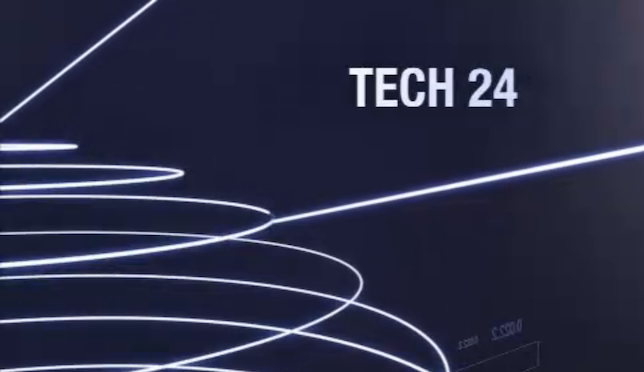 But instead of examining the protocols and software stacks involved, he traced the people who help connect the physical network ‘tubes’ together to bring data from one side of the world to the other. In 2006 Alaskan Senator and chair of the US Senate Commerce, Science and Transportation Committee Ted Stevens was ridiculed in the media when he described the internet as “a series of tubes”. Yet Andrew Blum’s travels took him to across the world to see huge fibre bundles being pulled across oceans to connect continents together; internet exchange (IX) facilities hooking networks together; a regional Network Operators Group where expertise was shared and new peering agreements were formed; and the seventy five year old professor who installed one of the first nodes of ARPANET at UCLA back in 1969. Lands End, Amsterdam, and rural America. Reading Tubes reminded me of 1990s articles in trade magazines like DataComm that excitedly explained how the MAE-East internet exchange was based in a parking garage. Andrew Blum discovered that location was important yet unpredictable. Many of the buildings be visited were both anonymous and remote. The reasons why an internet facility evolved and grew at a particular site would be varied and the consequences often long-lived with enormous datacentres now being built seemingly in the middle of nowhere due to the nearby high-bandwidth connectivity and cheap sources of energy. There are different kinds of connect. There are the connections between people, the million kinds of love. There are the connections between computers, expressed in algorithms and protocols. But this was the Internet’s connection to the earth, the seam between the global brain and the geologic crust … among the landscapes of the Internet, it was the confluence of mighty rivers, the entrance to a grand harbour. But there was no lighthouse or marker. It was all underground, still and dark—although made of light. If you lose rural America, you lose your infrastructure and your food. It’s incumbent for us to wire everybody, not just urban America. The 20 percent of the people living on 80 percent of the land will be left behind. Without what rural America provides to urban America, urban America couldn’t exist. And vice versa. We have this partnership. If in Oregon that was once about timber and beef, it now extended to data, of all things. The Internet was unevenly distributed. It wasn’t everywhere at all—and the places where it wasn’t suffered for it. While technology-based, the book is equally accessible to nerds and non-geeks. A good primer on how the internet works and how it breaks. There must be a follow-up book for Andrew Blum – though perhaps not so universally appealing – to talk to the men and women who established some of the processes and software that are still fundamental to the internet’s operation: the people behind internet address allocation, DNS, SMTP, Mosaic, Netscape, etc as well as information entrepreneurs like Rick Gates who conceived and ran The Internet Hunt from 1992-5. 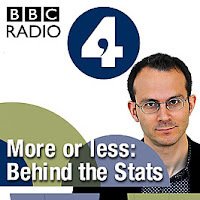 I’m reviving a long absent series of posts about podcasts worth listening to on the commute into work (or while mowing the lawn). 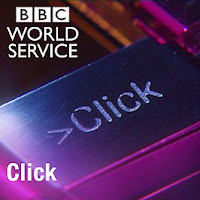 Until its demise in April 2012, PRI’s The World had a fantastic Technology Podcast hosted by Clark Boyd. Its focus was “not on gadgets or gizmos, but rather the people behind those gadgets and gizmos”. 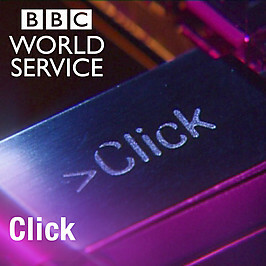 And like Click it looked beyond the US borders to appreciate world-wide advances and applications. There’s an archive of shows on PRI’s website and I’m slowly working my way through several years of backlog on iTunes. More culture! August started with Féile an Phobail (West Belfast Festival) and finishes with the East Belfast Arts Festival. With events being held in bars, community centres, galleries, a library as well as Belfast Met, last year’s fledgling festival is back for a second run between Wednesday 28 August and Sunday 1 August. 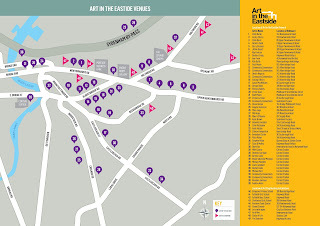 Throughout the festival cafés bars and restaurants around the Newtownards and Holywood Roads will open their doors to acoustic performances, visual arts and other entertainment. Details will be posted on EBAF’s Facebook page throughout the week. 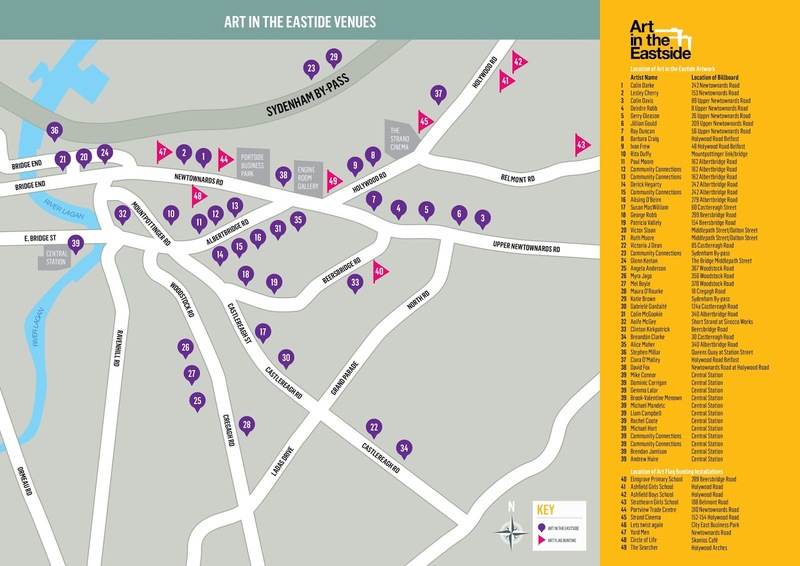 During the festival, across East Belfast you’ll catch sight of the Art Flag Bunting installations featuring the results of workshops in schools and community groups in the East earlier this year. This is part of the wider Art in the Eastside project that includes "new, positive artworks in non-gallery settings" on 50 billboards and poster sides across East Belfast. An exhibition of music photographs by Carrie Davenport will be on display in Connswater Shopping Centre. Each evening from 9pm until late, play Pretty City Ping Pong on the electrified and audio-enhanced table in the Skainos Centre. A visual and auditory treat not to be missed! 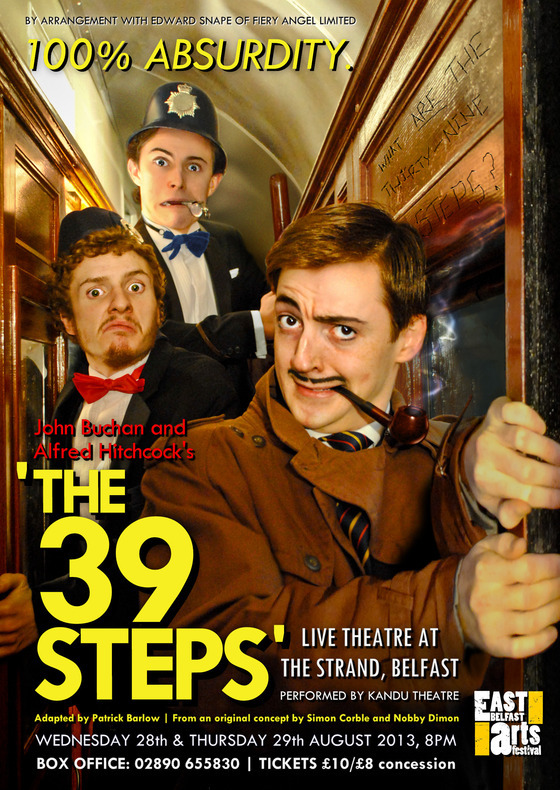 Ascension is second of this year’s three new plays selected by Accidental Theatre for their Biscuit Tin Reading series will be performed in the Ulster Hall Group Space on Thursday evening. The rehearsed reading of Clair Parker’s play is free and starts at 7pm on Thursday 29 August. When society shuts them out, a family cling to one another and discover how deep their bonds really go. Based on a true story of a family who starved themselves to death in their own home in Dublin in 2000, Parker's play explores our own boundaries and beliefs and questions how far we will go with our convictions. Directed by Stephen Beggs and written by English playwright Clair Parker, it is a story of a family divided and united by their religion. The final reading – Down on the Main Road – will take place on Tuesday 24 September (previously advertised as Thursday 26) and is again free to attend. It’s written by Irish playwright Damian Kearney and directed by Finn Kennedy. A dilapidated school building - nearly abandoned when most of the teachers walked out to work at the posh one down the road - comes to life around its remaining inhabitants: Faith (the principal) and Dad-Man (the custodian). Hilarious and unsettlingly inventive writing. Between rehearsed readings by Accidental Theatre, the annual Pick’n’Mix festival, numerous theatre groups performing plays from old and new writers at festivals, and awards like the annual Stewart Parker Trust Awards recognising new writers, as well as summer schools by Bruiser Theatre Company and Music Theatre 4 Youth (who performed Fame over the weekend), the local thespian scene – writing and performing – is alive and well ... despite the financial pressures it faces. Covering the topics of Play, Eat, Shop and Stay, neighbouring attractions are grouped together to make it possible to pick out a set of complementary activities for a day that won’t involve haring across the Paris on a fourteen stop two interchange adventure in-between. So a visit to see the impressionist paintings (and the stunning clocks) in Musée d'Orsay can be followed by a very worthwhile trip to Musée des Égouts de Paris (the Paris Sewers) and a chance to buy a soft and cuddly toy rat at the gift shop! Opening times, website details and indicative prices at the time of printing are included along with the background to Parisian customs and culture. Worth remembering that smaller less-tourist-oriented shops will be closed for a week or two in August when the staff go on holiday. 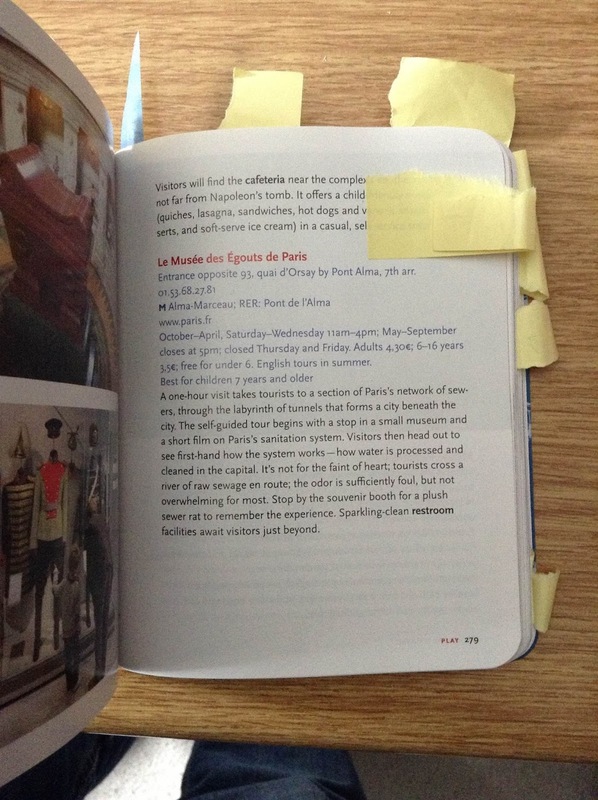 Our copy of Kim Horton Levesque’s guide – produced along with her three research assistants (aged 2, 4 and 6) – is littered with post-it notes marking those attractions that caught the attention of different family members in the run up to our departure. 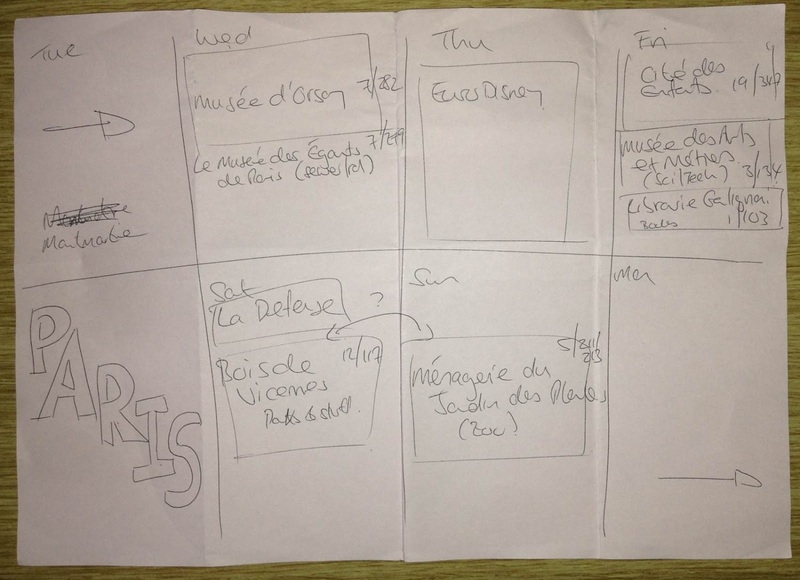 And while we didn’t stick rigidly to the plan we drew up beforehand, it was a great way to wake up each morning and not have to spend too long negotiating the day’s itinerary. As time permits, I’ll blog a little about some of the places we enjoyed visiting and my experience of not bringing a proper camera and relying instead on an iPod Touch. 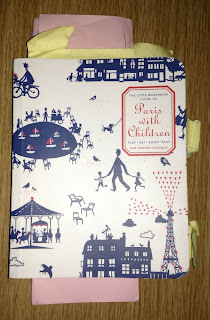 In the meantime Paris with Children retails for £12.99 (currently reduced to £9 on Amazon). If you're visiting with kids, bring this book ... and read it beforehand! 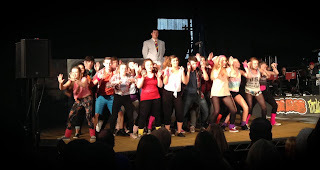 Music Theatre 4 Youth (MT4Uth) was set up eight years ago to provide young people in Northern Ireland with training, coaching and support in the performing arts. Tonight a cast of eighty aged between 10 and 23 performed Fame The Musical in the T13 Shared Cultural Space in Belfast's Titanic Quarter. Amazingly, rehearsals only began last Friday. And yet under the direction of a West End artistic team, the full two act musical was sung, danced and acted on stage as if they'd been rehearsing for months. Energetic and talented young folk backed by a great organisation. And leg warmers galore! 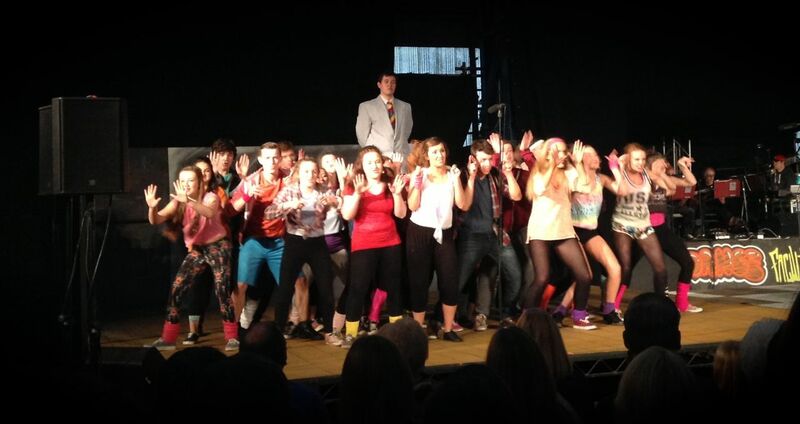 Fame will take to the stage in T13 again on Saturday evening. Unusually politics were largely absent from this year’s West Belfast Youth Talks Back panel which solely focussed on the issue of social media and its impact on young people. Chaired by twittaholic (and self-confessed bathroom tweeter) William Crawley, the panel chipped in with advice and observations for the hundred or more people in the audience. Harriet Long (LGB&T advocacy officer and keen blogger) spoke about how social media supported LGB&T people. 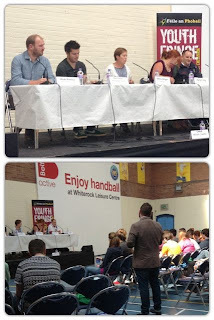 Eithne Gilligan (Voice of Young People in Care/VOYPIC), and Wayne Denner (Digital Media expert) completed the panel. Over the seventy five minutes, the audience and panel covered many of the darker dangers of social media – sexting, stalking, trolling, reputational destruction, sectarian abuse – as well as the positive ways in which social media can be fun, build reputation, support minority groups and be used for campaigning. While a fan of Skype, it was odd when senior Sinn Fein activist Jim Gibney expressed his scepticism about social media … tools which the party uses heavily (and often to good effect). While calm and relaxed – words unlikely to be used to describe this evening’s West Belfast Talks Back with Peter Osborne, Mike Nesbitt, Mary Lou McDonald and Jeremy Corbyn! – you can listen back to the event in three segments. A belated preview of some of the non-musical events coming up in the 25th West Belfast Féile which runs until 11 August. The full programme is available on the festival website. Robbie Burns, Poems and Songs – 7.30pm in Berry Street Presbyterian. Philip Orr and Mike Gaston “bringing out something beyond the tartan and haggis, including Burns’ radical political sympathies”. Human Rights & Investigative Journalism – noon in St Mary’s University College. Amnesty’s annual journalistic panel this year featuring Kevin Magee (formerly Spotlight), Barry McCaffrey (The Detail) and Allisson Morris (Irish News). McGurk’s Bar - a loss of innocence – 5pm in St Mary’s University College. Documentary film made by families of those killed in the 1971 massacre. Followed by Q&A including author Ciarán MacAirt. From East to West – Building the Irish Language from the Grassroots Up – 7pm in St Oliver Plunkett Parish Hall, Lenadoon. Irish language promoters Linda Ervine from East Belfast Mission and Feargal Enright from Glór na Móna speak about their experiences. Reconciliation & Acknowledging the Past – 7.30pm in St Mary’s University College. Organised by the SDLP, and chaired by Alex Attwood MLA, a panel will explore “the relationship between truth and reconciliation in Ireland today”. Panellists include Catherine McCartney (human rights activist), Breige Quinn (mother of murdered Paul Quinn), Eleanor Jordan (Windsor Women’s Centre in the Village), and Denis Bradley (co-chaired Consultative Group on the Past) Mark Thompson (Relatives for Justice). God or no God – The Religion Debate – 2.30pm in Roddy MacCorley Club. Athiest Jack Duffin and Fr Des Wilson debate God and religion. 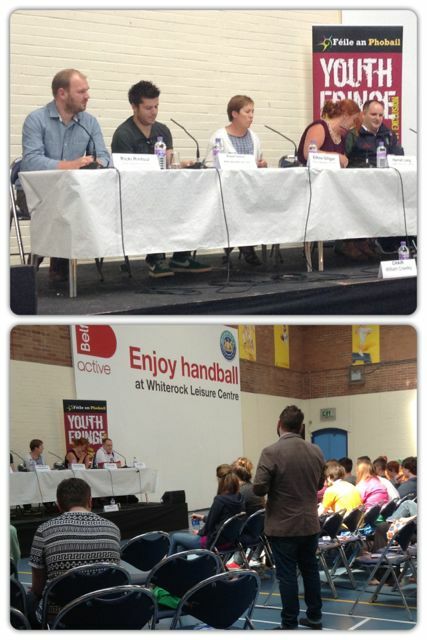 West Belfast Youth Talks Back – 2pm in Whiterock leisure Centre. William Crawley chairs a discussion on “Social Media or a Social Burden” with a panel of Harriet Long (LGB&T advocacy officer and keen blogger), Eithne Gilligan (Voice of Young People in Care), Lyra McKee (online investigative journalist/The Muckraker) Wayne Denner (Digital Media expert) and PSNI Neighbourhood Constables Tony Allen and Ricki Rintoul. Update - read about and listen back to the event. West Belfast Talks Back – 7.30pm in St Louise’s Comprehensive College. This year’s political bunfight panel is chaired by Tara Mills and features: Peter Osborne (chair Parades Commission & former chair of Alliance); Mary Lou McDonald (Sinn Fein TD & vice president), Jeremy Corbyn (Labour MP) and Mike Nesbitt (UUP leader). Let’s hope it’s more edifying than last year’s George Galloway-dominated event featured a relatively reserved Gregory Campbell. Update - posted about the event, including the audio. Comedy from Patrick Kielty supported by Micky Bartlett – 8pm in the Big Tent, Falls Park. £15. Just a Prisoner’s Wife – 9pm in Andersonstown Social Club is a 1996 play written by wives, mothers, daughters of prisoners as well as women ex-prisoners telling their harrowing experiences with a smidgeon of black humour. £8. From Cream Buns to Hollywood: Paul Tweed – noon in St Mary’s University College. The Belfast solicitor who has never lost a libel case will no doubt address the NI Executive’s approach to libel reform. The Future of the Catholic Church in Ireland – 1.30pm in St Mary’s University College. Debate with Fr Tim Bartlett and Patsy McGarry (The Irish Times religious affairs correspondent), chaired by Pat Coyle. The Shankill’s Independent Unionists – 11am at Shankill Library. Historian Jim McDermott explores the Shankill’s history of representation by independent unionist politicians including MP Tommy Henderson. Also check out Bronagh Lawson’s installation in the disused church on Northumberland Street. For the last four years Bronagh has attended 170 religious services (in different places). Her exhibition Man’s Interference/Nurturing of the Divine explores her experiences. Open 20pm-6pm until Sunday 11 August. Whispering Belfast is a puppet exhibition in the Ulster Museum, Tuesday to Sunday, 10am to 5pm. Audio narrative of characters which have been uniquely shaped by past or present secret conversations, hushed voices and withdrawn attitudes. As usual there are also cemetery tours and political tours.